Demoiselle Vintage : I'm delighted to announce Demoiselle Vintage is supporting Alzheimer charity. Every purchase made in this week will fully support Alzheimer's Society in their hard work of fundraising money. The loom bands bracelets has been made and donate by my beloved child to support us. www.alzheimers.org.uk Thank you for your support! I'm delighted to announce Demoiselle Vintage is supporting Alzheimer charity. 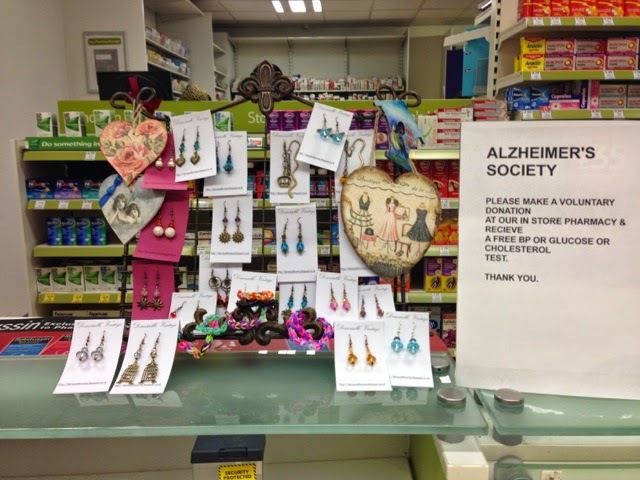 Every purchase made in this week will fully support Alzheimer's Society in their hard work of fundraising money. The loom bands bracelets has been made and donate by my beloved child to support us. www.alzheimers.org.uk Thank you for your support!